People have been escaping to the Isle of Thanet for more than 200 years, for the laidback seaside vibe, the breathtaking sandy beaches and fresh sea air, discovering a natural, relaxed and friendly place. 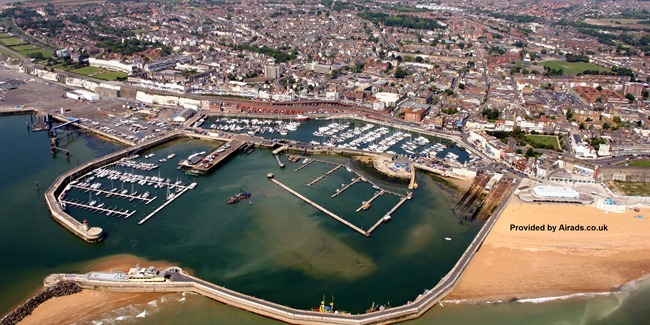 Facing south is Ramsgate and its stunning Royal Harbour, unique in England. With a lively shopping area and regular traditional market, the town is excellent for food and eating, with little cafes, friendly pubs, excellent varied restaurants and a ‘café culture’ at the harbour-side – the perfect place for a relaxing time. Explore further and you’ll find a cultural core, a wealth of creative residents and a blossoming arts scene with galleries and new businesses emerging. By the harbour, Victorian arches host ship chandlers, boat sales, intriguing shops and artists’ studios - Ramsgate is all about finding hidden treasures and falling in love with a different way of life. Ramsgate is naturally appealing. Low chalk cliffs dominate the beach and edge the whole Thanet peninsula. Chalk rockpools and rare chalks reefs teem with wildlife yet these are the closest surfing beaches to London. The Isle of Thanet is a historic landing place; the first Saxons Hengist and Horsa arrived close to Ramsgate and St Augustine stepped onto our shore on his way to nearby Canterbury. Our classic seaside heritage is enhanced by remarkable 18th and 19th century architecture, when the town was a favourite retreat for AWN Pugin, Elizabeth Fry, Van Gogh and Coleridge. Nowadays, you can explore unchanged squares and find all the individual independent little places to shop, eat, drink and stay. We are next door to Broadstairs and 5 miles from Margate, with pretty villages and country pubs 15 mins away. We are on the doorstep to Europe, less than 3 hours travel away via Dover, and we are just 75 minutes from central London. Come and spend time discovering a new way of life and encounter a rich mix of people, history and place.